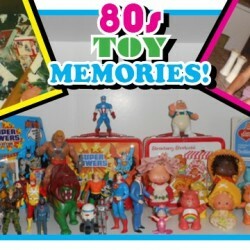 Chris and Cindy Franklin dig deeper into their 80s toy box! 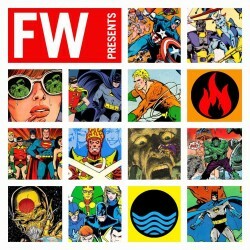 Chris waxes poetically about his love for the be-all-end-all of DC toy lines, Kenner’s Super Powers Collection. 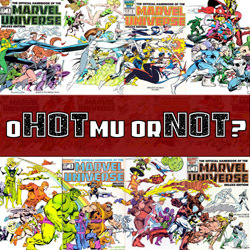 Oh, yeah, he also mentions its “pretty-in-its-own-way” cousin, Marvel Super Heroes Secret Wars. Cindy talks about My Buddy, and of course the conversation must touch upon his demon-spawn, Chucky! But there’s more! You’ll get fond childhood memories of Care Bears, Transformers, and My Little Pony along the way. Chris laments how M.A.S.K. went Nascar, and Cindy says some truly, truly outrageous things about Jem! 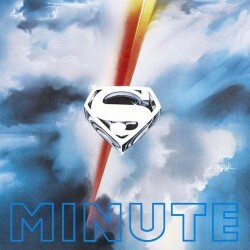 This episode has more 80s goodness than a Trapperkeeper stuffed with a Flock of Seagulls! Be sure to let us know what you think! 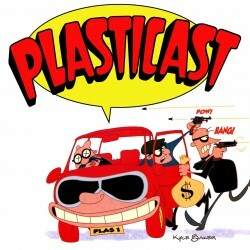 What are your favorite 80s toys? Let your voice be heard! 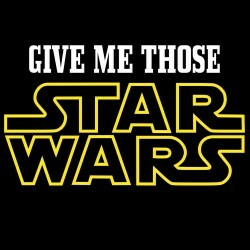 We’d love to read it aloud in an upcoming episode. 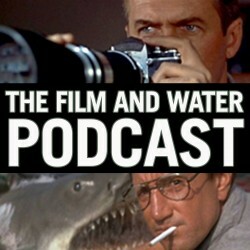 Drop us a line in our comments section, or email us at supermatespodcast@gmail.com. 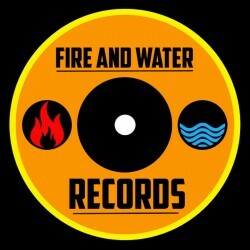 We’re also on Facebook! 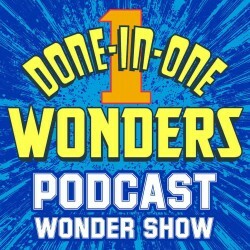 Next time, Chris and Cindy will discuss two legendary comic mini-series: The Untold Legend of the Batman, and The Legend of Wonder Woman! 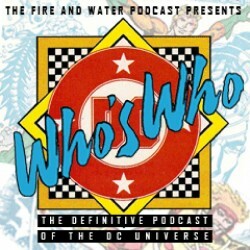 This time around we chat about WHO’S WHO: Volume XIX, discussing characters such as The Question, Ragman, Ra’s Al Ghul, Red Tornado, The Riddler, Robin, and Robotman! 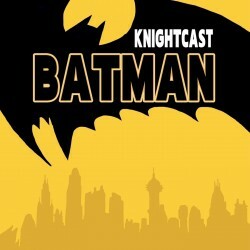 We wrap up the show with Listener Feedback! Journey with Chris and Cindy Franklin back to the decade of excess…excessively cool toys that is! But first the happy couple does their geeky duty and Rap About Cap…Captain America: The Winter Soldier film! In this spoiler-free mini-review, both gush about how they love Chris Evans (for totally different reasons) and why you should run out to a theater and see this movie…after you listen to this episode of course! Then on to the toys! From roided-up barbarians to fruit-scented dolls, it’s Part 1 of our 80s toy retrospective as Chris and Cindy recall childhood adventures with the Masters of the Universe, Barbie, Strawberry Shortcake, G.I. Joe: A Real American Hero, Cabbage Patch Kids and more! How did Cindy’s mom manage to get a Cabbage Patch doll in 1983, and not get mobbed? What horrible fate befell Duke from G.I. Joe? 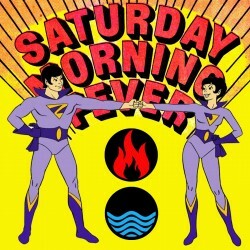 Come back next time for Part 2 of our trip to the age of Trapper Keepers! 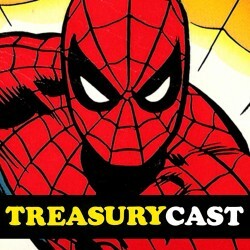 Super Powers, Care Bears, Secret Wars, My Buddy, Transformers, My Little Pony, M.A.S.K. and more await! 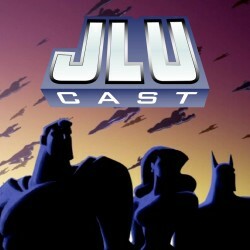 Episode 85 - Dan Jurgens Returns! 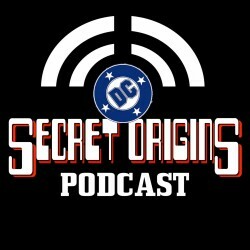 This episode we’ve got another fantastic interview with Dan Jurgens! Dan is currently writing the ongoing series AQUAMAN and THE OTHERS, and is a contributing writer to the year-long weekly series THE NEW 52 – FUTURES END featuring Firestorm! 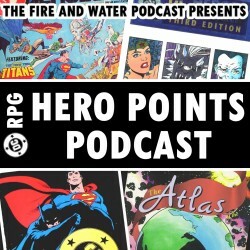 We discuss both of Dan’s current books as well as his previous series FURY OF FIRESTORM. And just for fun we put Dan through another Lightning Round of questions! Be sure to pick up AQUAMAN and THE OTHERS #1 in stores now, and THE NEW 52 – FUTURES END #0 absolutely free in stores on Free Comic Book Day (May 3)! 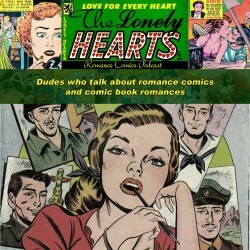 You are now living in an era in which Aquaman has two monthly comics! 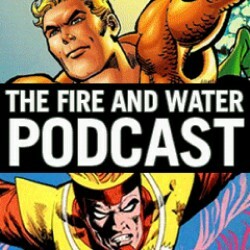 This episode Rob and Shag dive into AQUAMAN and THE OTHERS #1 by Dan Jurgens, Lan Medina, and Allen Martinez. Next, Shag gives a State of the Nuclear Union address. 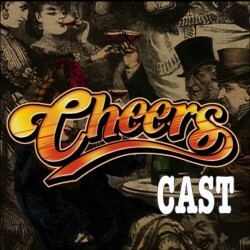 Finally, a healthy dose of your Listener Feedback! Space…the Final Frontier…for geekery! Join Chris and Cindy as the beam into the 23rd century! First they explore the strange new world known as the Lexington Comic Con, where they meet none other than Captain Kirk himself, William Shatner! The Captain is commanding a much smaller vehicle these days! 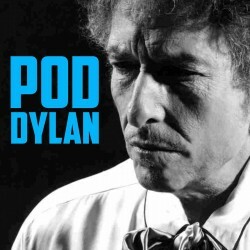 As we travel at warp speed, the Franklins discuss how they got into Star Trek, and of course debate which version of Trek is best (like there is any real debate?). Then it’s on to our Prime Directive, commentary on the classic Star Trek Season 3 episode “All Our Yesterdays”. Kirk’s loins get him into trouble once again, and Spock and McCoy blindly follow him into danger. While trapped in a dying planet’s frozen past, Spock goes out of his Vulcan mind, and finds love with the time-tossed (and of course, scantily-clad) Zarabeth…while Bones becomes a true Spock-Blocker! 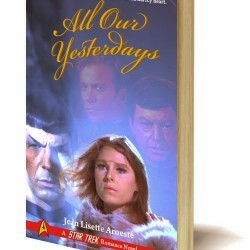 We wrap things ups with our resident librarian Cindy giving you a Captain’s Log on two follow-ups to this classic episode, the Trek novels “Yesterday’s Son” and “Time for Yesterday”. 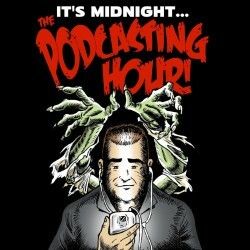 So prepare yourself and leap through the Atavachron into podcasting adventure! Be sure to let us know what you think! 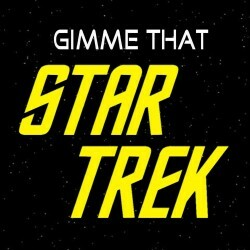 What are your favorite episodes of Star Trek? Let your voice be heard! We’d love to read it aloud in an upcoming episode. 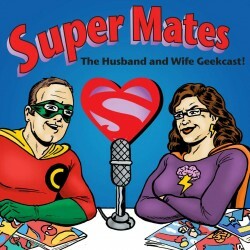 Drop us a line in our comments section, or email us at supermatespodcast@gmail.com. 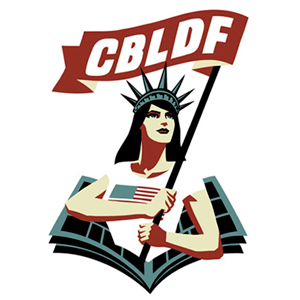 We’re also on Facebook! 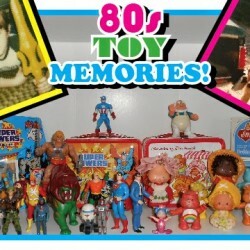 Next time, we dig into our toy chest, and wax nostalgic about our favorite toys of the 1980s! 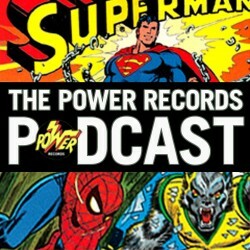 The Power Records Podcast, Episode 4: Captain America! 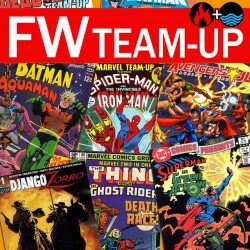 This episode Rob and Shag dive into AQUAMAN #29 by Jeff Parker, Paul Pelletier, Sean Parsons, and Rain Beredo, followed by look at BATMAN AND AQUAMAN #29 by Peter Tomasi, Pat Gleason, and Mick Gray. Plus Part Two of Firestorm vs. Typhoon in THE FURY OF FIRESTORM #9 (Feb. 1983) by Gerry Conway, guest penciller Jerome Moore, Rodin Rodriguez, and Gene D’Angelo. Let’s get small! 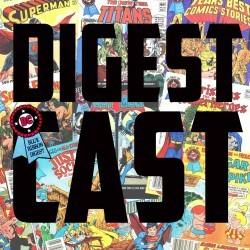 This week, Rob and Guest Co-Host Michael Bailey talk about one of their favorite comic book formats from childhood: the DC Digest!